Here are results and footage from the Volcom Codfish surf contest held in Stavanger recently. 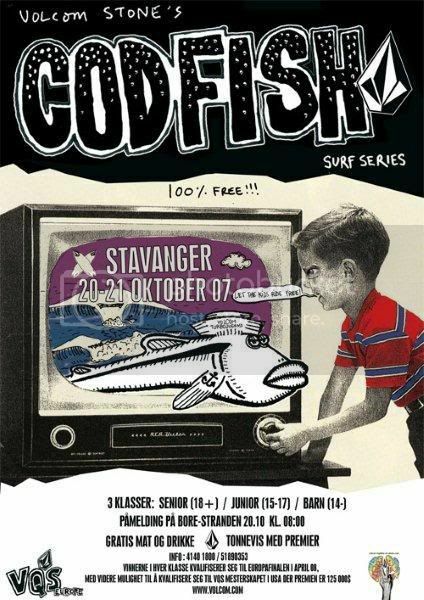 The Volcom Codfish surf contest is being held in Stavnger next month. Here is some information. Volcom and Response Distribution invites to an informal surf contest in Stavanger this month. Here is some information about the event. Volcom Codfish 2008: Surfcontest sunday 19.Oktober Jæren, Norway.